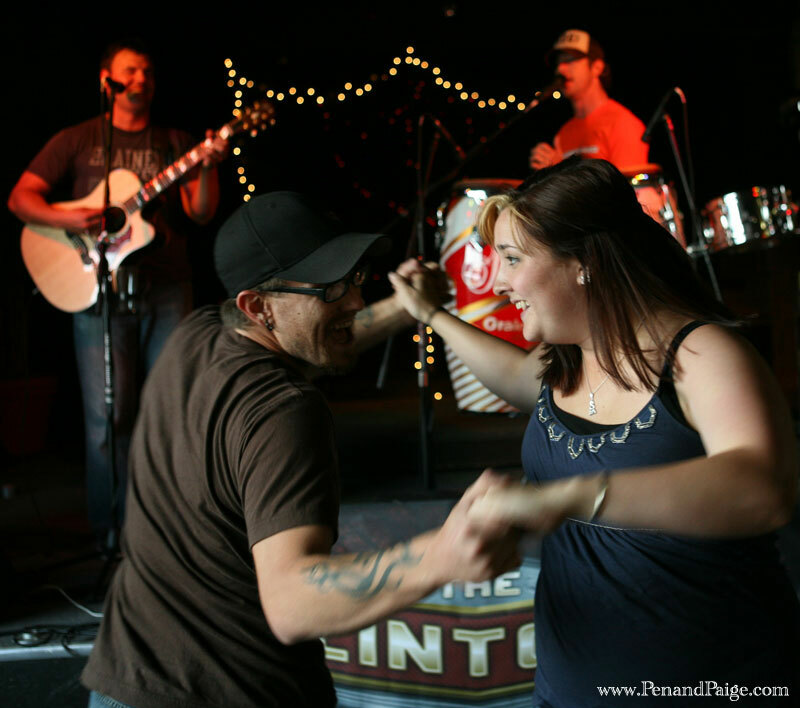 Fans of the Clintons, a Bozeman-based country/pop group, dance along while John McLellan, guitarist and vocalist of the Clintons, and percussionist Josh Keehr, perform at YVBC Aug. 30. McLellan gives a friendly wink during a performance at YVBC. McLellan and Keehr, who occasionally tour as an acoustic duo performing songs from the Clintons’ repertoire, were in a jocular mood during their Saturday performance at YVBC. I couldn’t help but laugh at their snide stage banter and tapped my toe along with their easy-listening tunes. Their set list included a love song for Hillary Clintonand a serenade to the chain-smoking 60-something cocktail waitress they “fell in love with” at the bowling alley. Though repetitive and sometimes monotonous, the Clintons’ music is original and lyrically creative, and when McLellan and Keehr perform, they seem to make people happy. Most of the audience came just to see McLellan and Keehr perform, and fans sang along with many songs. 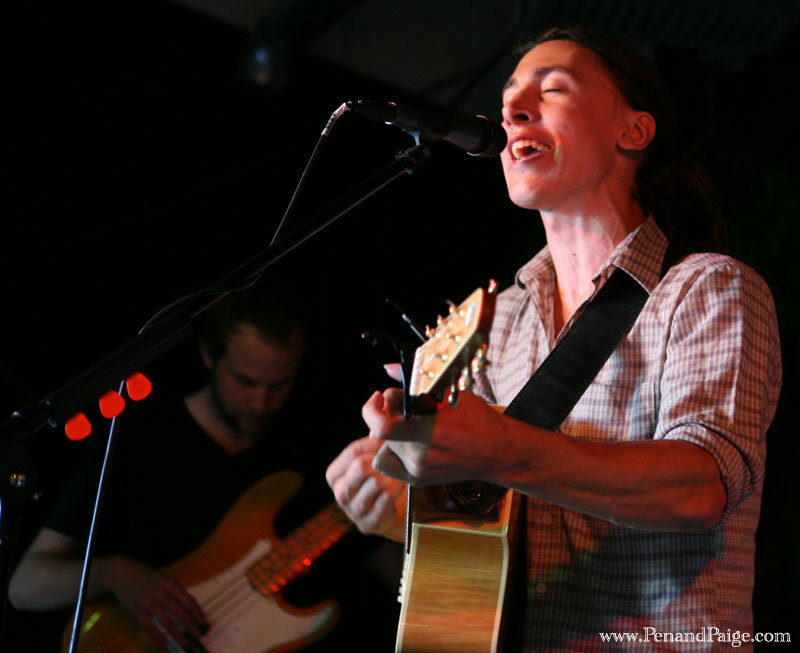 Noah Gundersen and the Courage in performance Saturday at YVBC. However many people came out to see the Clintons, those that arrived late missed the prime band of the evening: Noah Gundersen and the Courage. Without gimmicks or cliché jokes, Noah Gundersen, a 20-year-old singer/songwriter from Centralia, Wash., took the stage before McLellan and Keehr with his sister, Abby, and friends Travis Ehrentrom and Ivan Gunderson (no relation) and leapt into an original set of diverse and passionate music. Lead singer and guitarist Noah Gundersen and bassist Travis Ehrentrom of Noah Gundersen and the Courage. 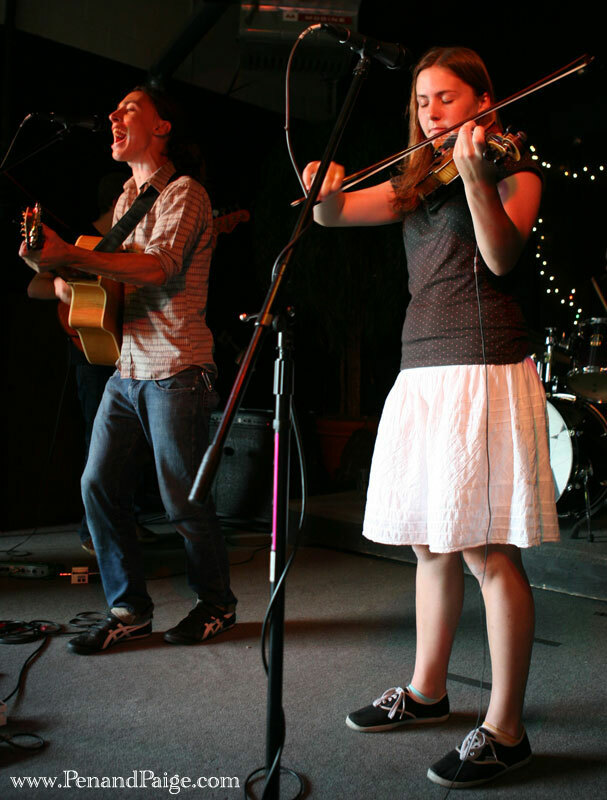 Noah Gundersen performs with his sister, Abby. 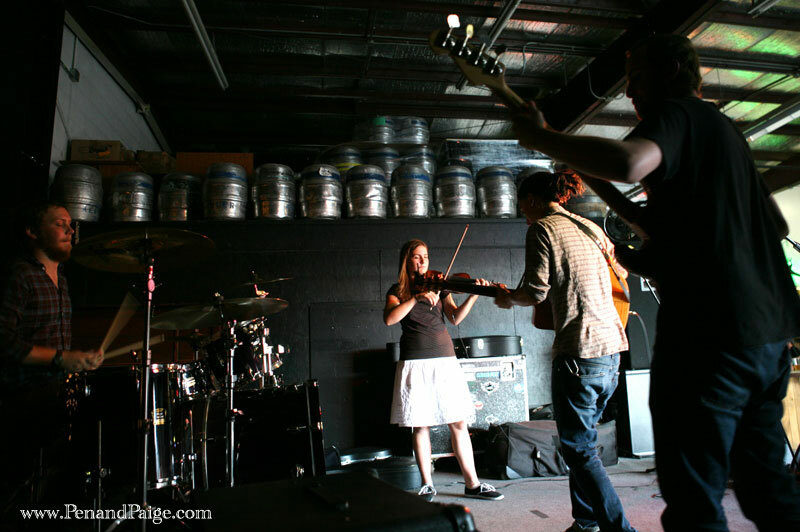 Abby seemed shy onstage, but her violin crooned sweetly for her. 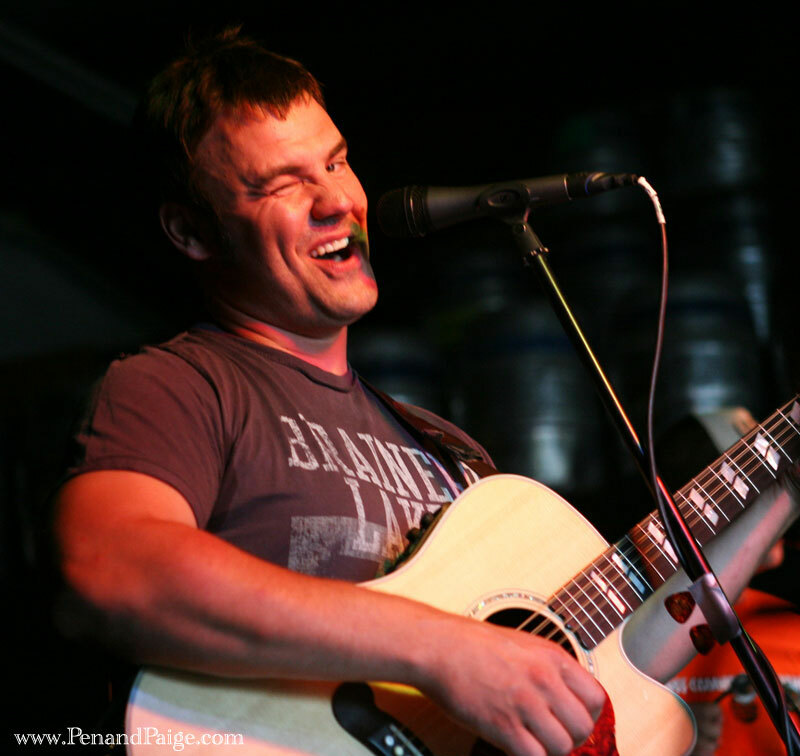 Noah, who traditionally plays solo acoustically, seemed like he was made for performing as he strummed his guitar and professed his musical passion through rich chord progressions and sincere lyrics. Noah and Abby are no strangers to performing together, but they added a bassist and drummer to their lineup in August before hitting the road on a western tour that ends in October. What is most striking about the Gundersens their immense talents in relation to their ages. Such musical skills weren’t gained from years of touring the country as a band but from a passion for the craft and natural aptitude. Abby, 17, was 14 when she started performing with her brother, and Noah began playing acoustically in coffee shops in his hometown at 16. It’s just within the last year that the duo has started aggressively performing. Noah said he added two more musicians to the group because it gives him the ability to play a greater diversity of music. The Courage formed in August right before launching the current tour with Chelsea Seth Woodward, frontman for the Spokane-based indie rock band Paper Mache. The group is on tour until October and plans to take a break while Abby finishes high school. She’s actually headed home before the end of the tour to start her senior year. The band then plans to relocate to Seattle and form under a new name. Noah said he plans to drop his name from the band title because he wants each member to have a sense of ownership. “Giving it a title of a band creates the emotion that we’re all in this together,” Noah said.